Hailed as “a great organist” (Bloomberg News), James Kennerley is a multi-faceted musician, working as a conductor, organist, singer, coach, and educator. A native of the United Kingdom, he has been Organist and Music Director at the Church of Saint Mary the Virgin, Times Square, since 2008. He has full responsibility for the church’s renowned music program, and its magnificent Aeolian-Skinner organ. In addition to directing the church’s professional choir, he also founded and curates a vibrant concert series. As an organist, Mr. Kennerley has performed at many of the major venues in Europe and the US, both as a soloist and accompanist, and has been a prizewinner at several competitions. In constant demand as a soloist, Mr. Kennerley is renowned for his improvisation skills, both within the liturgy and as a concert artist. He frequently improvises with Anonymous Four soprano Ruth Cunningham during the services at Saint Mary’s. He is planning to record his first commercial solo CD this season, with music of Marcel Dupré and Maurice Duruflé. 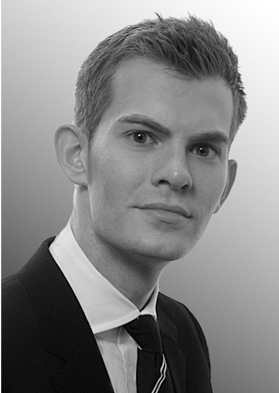 Mr. Kennerley has studied with David Sanger, Thomas Trotter and McNeil Robinson, and holds the Fellowship of the Royal College of Organists diploma. Mr. Kennerley made his New York conducting debut at Lincoln Center in 2009 in two performances of a contemporary operetta, The Velvet Oratorio, which was received to great acclaim by press and audience alike; he is increasingly in demand as a conductor outside the realm of liturgical music. Lauded as an “excellent, true-toned tenor” by New Yorker critic Alex Ross, Mr. Kennerley has performed as a soloist, and in collaboration with many groups, including concerts with the choir of Trinity, Wall Street, TENET, Amor Artis, Sonnambula, and Clarion Music Society, where he performed as part of the rededication of the organ at Alice Tully Hall, Lincoln Center. He has studied with Robert Rice, David Lowe and Braeden Harris. 2013 sees the fourth annual Green Mountain Vespers presentation of Claudio Monteverdi’s 1610 Vespers at Saint Mary’s, along with many of the finest early music artists from the East Coast, and performances of Bach's St Matthew Passion with the Choir of Trinity Church, Wall Street. Mr. Kennerley was born in 1984 and became a chorister of Chelmsford Cathedral. He was educated at Harrow School and Cambridge University, where he was Organ Scholar at Jesus College. He was then appointed Organ Scholar of Saint Paul’s Cathedral, London, where he worked daily with the choir of men and boys under the direction of Malcolm Archer, and had the honor of performing in the presence of HM the Queen on several occasions. Prior to his appointment at Saint Mary’s, Mr. Kennerley was Associate Director of Music and Director of the Choir of Men and Boys at Christ Church, Greenwich, Connecticut, where he had been working since September 2006. There, he directed the choirs on two successful tours to England, and established an organ recital series, now in its fifth year.